This is why I believe that there is no real reason to consider the ‘poker economy’. The ‘poker economy’ will continually be sucked back into the overall economy from whence it came. At some point, which I believe has already passed, the poker economy must reach a high point, and inevitably a taper downward. Eventually, it will reach an equilibrium where the people putting new money into the economy will equal the money that is coming out for rake and tokes. And by that point, we could probably include taxes from federal and state government on winnings and profits made by online cardrooms. I agree. The food (money) chain is limited to people with money to spare. Since we are currently only recycling existing money, it will take time for the economy to rebound. Hopefully the poker industry will correct this both online and at the B&M facilities. 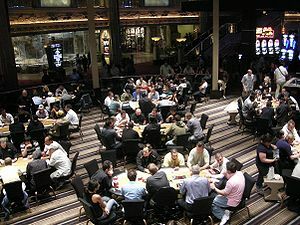 The above information is really very good to calculate the poker rooms playing. Its a main thing for all pokers to note.